When finishing a book elicits a strong feeling of loss, you know you are in the presence of brilliance. Ágota Kristóf is one such author. 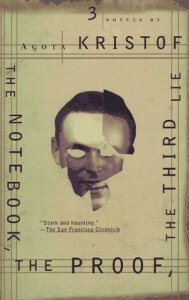 Slavoj Žižek said that this book taught him what kind of person he really wanted to be. 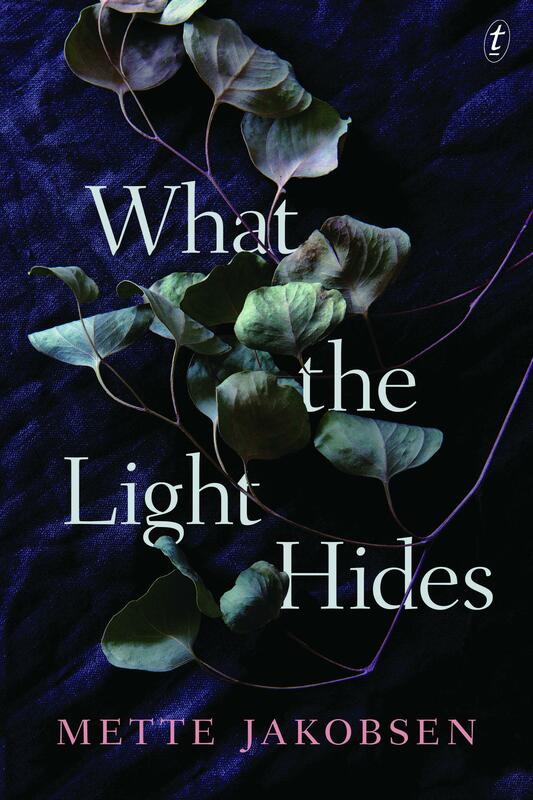 This book did not teach me who I want to be – but it did remind me again what literature may be capable of when it is wielded with a hideous, honest brutality, like an executioner’s sword. Kristóf was born in Hungary in 1935 and became an exile in French-Speaking Switzerland, where she worked in a factory. She died in 2011. The Notebook took out a slew of European literary prizes, and has been called icy, dispassionate and chilling. It follows the lives of Claus and Lucas, identical twins sent to live with their grandmother during the occupation of their country by enemy forces. The setting is fairytale-like, though it is possible to draw parallels between it and occupied Hungary during the Second World War. The twins escape from ‘Big Town’ to the quintessential witch’s cottage in ‘Little Town’. But in Kristóf’s parable, their grandmother is the witch. The twins function in an amoral universe, in which day-to-day niceties are suspended in the hyper-survival state brought on by the war. Žižek celebrates the twins as ‘ethical monsters’ without empathy, who act purely in accordance with a strict moral code. The world depicted here is chilling, yes, but the crystalline prose, however stark, is not dispassionate. Rather, its deceptive simplicity only makes the emotional death-blows, when they land, all the more affecting. Charlotte Wood is the author of six books. 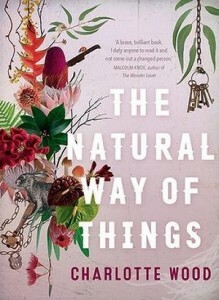 Her latest novel, The Natural Way of Things, has won the 2016 Stella Prize, the 2016 Indie Book of the Year and Indie Fiction Book of the Year prizes. A kind of nightmareish literary Survivor, The Natural Way of Things follows the story of ten girls who wake in the middle of nowhere after being drugged and seized. They are imprisoned and guarded by brutal jailers. The characters hurtle through the confined locale of the novel on a trajectory towards we don’t know what. The narrative tension funnels us into the story as if we ourselves are wearing the restrictive bonnets the girls are required to wear. The picture of sisterhood Wood paints is not sentimentalised but beautifully complicated. The desperation of the women is finely drawn, as are their increasingly frequent acts of resistance. The Natural Way of Things is also an exploration of the denigration of the female body. Worse than the jailers’ insults is the women’s disgust with the uncontrolled female form, which left to its own devices in this book stinks, bleeds and grows hair. Wood trawls the societally imposed shame that women are taught to feel for darker things: women’s feelings of responsibility for the unwanted sexual attention or abuse that they may experience. Traumatic but unexpectedly satisfying, The Natural Way of Things is a forceful and somehow necessary read. If the first two novels featured here are incisive investigations into human cruelty, this book is an enjoyable romp. 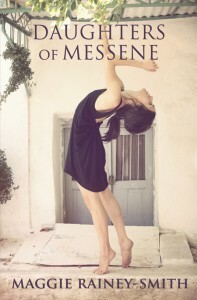 New Zealand author Maggie Rainey-Smith’s third novel, Daughters of Messene, tells the story of Artemis, a second-generation Greek seeking the romance of ‘home’. As Artemis carries her mother’s ashes back to Greece and to the land her mother left half a century earlier, the story of what happened to her family during the Greek Civil War emerges. Greeks have a word to describe the deep longing felt by the exile: xenitia. It is possible for second and third-generation migrants to feel homesick for a country where they have never been, and Rainey-Smith captures this feeling perfectly. A friend of mine judges books by whether they pass the ‘bath test’. ‘At the end of the day,’ she says, ‘would I want to read this book in the bath?’ Daughters of Messene aces the ‘bath test’. 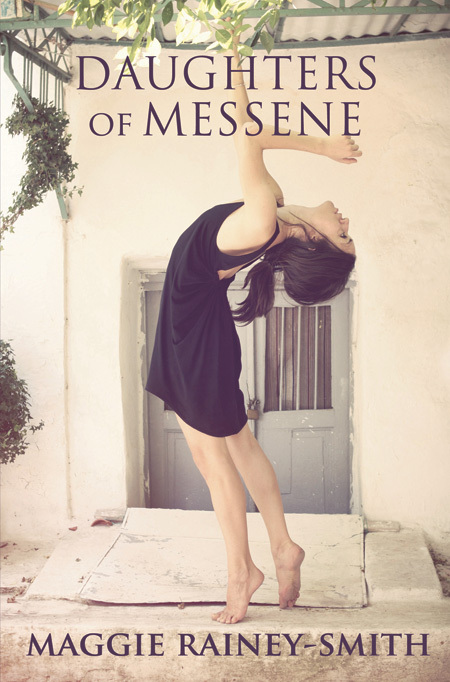 Mette Jakobsen’s second book is a delicate portrayal of shared grief. 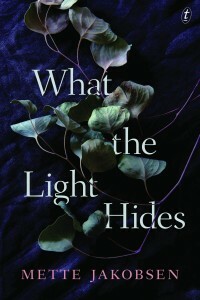 What the Light Hides begins after Vera and David’s son’s apparent suicide. Vera and David are very much in love, but the grief ravages them in different ways. David goes to Sydney to look for his son, not believing he is dead, leaving Vera behind. This book is impressionistic and beautifully written, though the characters sometimes seem unconvincingly distant from themselves. Vera and David’s relationship prior to the death occasionally seems idealised. Still, we intuit great emotion in the spaces between the carefully chosen words. Melbourne author Jennifer Down’s debut novel Our Magic Hour was shortlisted for the 2014 Victorian Premier’s Literary Award for an unpublished manuscript. Understated yet evocative and exquisitely crafted, this is both a fine first novel and a thoroughly engaging read. Audrey is in recovery from a horrible loss, that of one of her childhood friends. Instead of spelling out this loss through dramatic action or dialogue, Down traces a slow, subtle unraveling; of Audrey’s relationship, of her motivation towards her job, of her ability to handle her outrageous family responsibilities, and of Audrey herself. 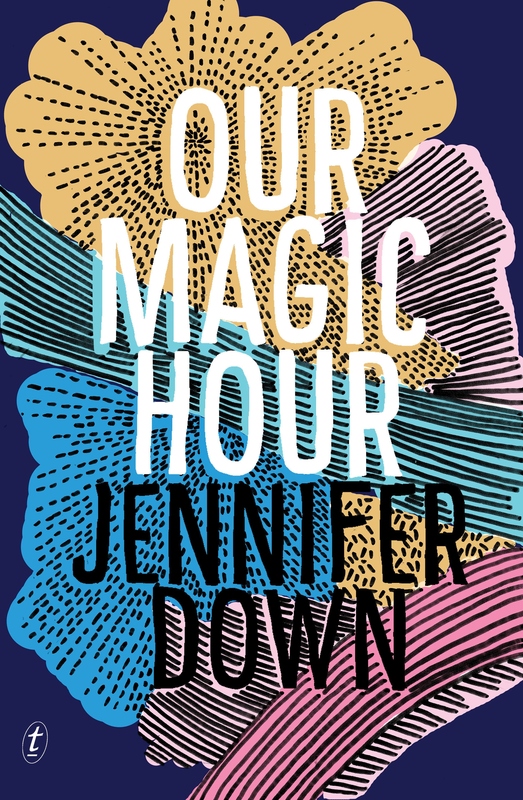 Subtle and vividly observed, Our Magic Hour is a chronicle of early adulthood, with all its violent unions and passionate friendships, as it turns slowly and painfully into something else. In The Lifted Brow Dominic Amerena wrote that Our Magic Hour features a strong sense of place. While this is true, I see the novel as occurring also in a temporal space, inside the immediately recognisable youthful human heart. This makes Down’s work universally important. It is easy to agree though with Amerena’s suggestion that ‘Down will be a fixture in the Australian lit scene for years to come’.